Every year, CICF brings a nationally known expert to speak on an important topic in estate planning, taxation or charitable giving, as our gift to the professional advisor community. Sign up to receive our monthly newsletter for professional advisors to be among the first to learn details about this year’s seminar. We are thrilled to announce that we will have an expert in the legal, tax, and investment aspects of impact investing speaking this year. Ruth Madrigal is partner at Steptoe & Johnson LLP and was a presenter at the 51st Annual Heckerling Institute on Estate Planning. She is a nationally recognized speaker in the impact investment field, having drafted the recent US Treasury Department guidance on mission related investments, and will headline the seminar. Legal, financial, tax, and insurance professionals are eligible for up to 2.5 hours of continuing education credit (must be present for entire seminar to receive full credit). Please contact Julie Scharlau at juliesc@cicf.org with any questions regarding seminar registrations. Ruth Madrigal has extensive experience, both within the government and in private practice, advising on a wide variety of legal and tax policy issues affecting charities and other tax-exempt entities, as well advocating for clients before the IRS, Treasury, and Congress. Clients turn to her for advice on issues such as entity choice, private foundation rules, intermediate sanctions, unrelated business activities, reporting and governance. 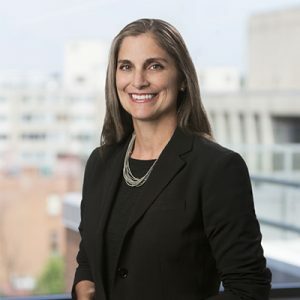 Ruth is widely recognized for her experience in the impact investing area, having drafted the recentTreasury guidance on program related investments and other types of mission related investments. Having spent six years as an attorney and policy advisor in the Office of Tax Policy at the US Treasury Department, Ruth has extensive knowledge of the administrative guidance process as well as the substantive tax law affecting tax-exempt organizations. In her role, she was responsible for advising the Assistant Secretary of Tax Policy on all tax matters involving charities and other tax-exempt organizations, as well as drafting regulatory and legislative proposals relating to the tax-exempt sector and charitable giving. She represented Treasury in public hearings and meetings with other federal agencies, foreign governments, members of Congress, and state regulators. She is also sought after as an advisor on tax-exempt policy matters and an advocate on both legislative and regulatory proposals. Ruth frequently writes and speaks on impact investing implications for tax-exempt organizations of the Tax Act of 2017 and other matters pertaining to exempt organizations. Sign up for our quarterly e-newsletter for you to stay up to date on all professional advisor opportunities with CICF, including future seminars.